We offer a convenient range of skip bin sizes to meet your rubbish and waste removal requirements. Standard Top-Loading Skip Bins are most popular for general rubbish removal. See Bin Sizes in Chart below. End-Opening Skip Bins enable you to wheel heavy objects into the bin, without heavy lifting. Please refer to the Size Comparison Chart below to work out the size bin that best meets your needs. 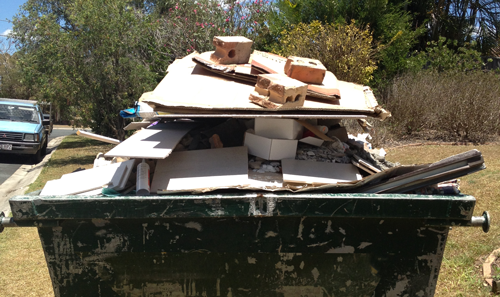 Keep in mind that it is often better to order a bigger size to avoid overloading the skip bin. It is illegal to transport OVERLOADED or OVERWEIGHT BINS on public roads.